Choosing the right nursing school to attend is imperative to getting top nursing jobs. It is no wonder that so many potential nursing students invest a substantial amount of time and effort into finding the nursing school that offers the greatest number of opportunities to learn new nursing concepts and receive the most opportunities for advancements in the nursing field. With the shortage of nurses in the United States, it is important that more people take an interest in this field of healthcare. Those who design nurse education programs must create highly informative, rigorous training programs to suit the changing needs of the technological advancements in the healthcare field. Nursing school is not for everyone. Those who choose to become nurses should expect to dedicate a tremendous amount of time to studying nursing information and participating in clinical experiences to keep up with the changes in the nursing industry. Knowing what to expect from nursing school is imperative to the success of nursing students. To enroll in a nursing program, it is generally required that students hold a high school diploma or GED to begin the program. Students can choose to attend vocational schools, nursing programs, 2-year colleges or universities, or 4 year colleges or universities, depending of the level of nursing education that the students desire. The degree options that students are granted upon graduating from the various nursing programs that there are to choose from include a Diploma in Nursing, Associate of Science in Nursing, Bachelor of Science in Nursing, Master of Science in Nursing, Doctor of Philosophy in Nursing (PhD), or Doctor of Nursing Practice. In addition to earning specialized degrees, nurses can also specialize in specific area of nursing to optimize their marketability in the nursing industry. A few of the specialty areas include forensic nursing, burn nursing, geriatric nursing, legal nursing, oncology nursing, medical surgical nursing, and mental health nursing. With a master’s degree in nursing, it is possible to become an Advanced Practice Nurse and hold the title of Nurse Practitioner, Nurse Anesthetist, Nurse Midwife, or Clinical Nurse Specialist. Nursing programs consist of a combination of coursework and clinical experiences. The coursework may consist of basic courses—such as biology and anatomy- and core coursework that may consist of pharmacology and physiology. The courses that students take in nursing school will teach them about sterile dressing changes, inserting catheters, medication administration, physical examinations, and other vital nursing skills. Graduates of nursing programs must pass the licensing examination to become licensed nurses. Nurses working in the United States must take the National Council Licensure Examination (NCLEX) to become Registered Nurses (RNs) or Licenses Practical Nurses (LPNs). Those who become licensed nurses have the greatest opportunities in the nursing industry. After graduating from nursing programs, it is necessary to complete continuing education hours to maintain the nursing license. Each state has specific guidelines to maintain a nursing license so nurses must check with their Board of Nursing to determine the requirements. Nursing programs come in a variety of types to suit the needs for everyone who wants to study nursing. These unique programs are designed around the schedule of the each student so that each one can meet success in the manner that suits each individual best. Nurses must choose to either earn a diploma, associate’s, bachelor’s, master’s, or doctoral degree in nursing to become nurses. 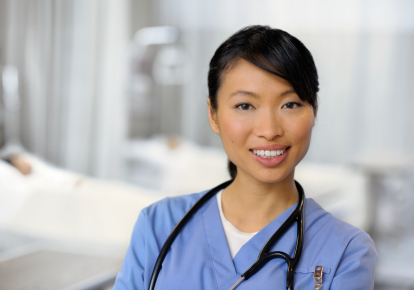 Most nursing careers begin with a diploma, associate’s, or bachelor’s degree in nursing. The time it takes for a student to complete nursing school varies greatly, but generally speaking, it takes less than a year to earn a diploma, 2 years or less to earn an associate’s degree, 4 years or less to earn a bachelor’s degree, and 2 years or less to earn a master’s or doctoral degree in nursing. Most employees prefer nursing professionals with a minimum education of a bachelor’s degree, but students should not be discouraged from earning a lesser degree. Many nursing professionals begin their nursing careers by earning a nursing diploma and continue taking classes to earn advanced degrees. All that matters is that students start somewhere to begin their nursing degree. You can see a articles about the levels of nursing degrees in our online database. Nursing students can choose between earning their degree full-time or part-time from a number of nursing schools in the country. They also have the opportunity to choose between accelerated, advanced, dual, joint, and online nursing programs. Here is the outline of options that nursing students have when choosing nursing programs. Full-time – Attending nursing school full-time can help nursing students complete their program in less time. It usually takes 4 years to earn a bachelor’s degree, but it may take less time if students attend summer sessions and intersession courses to help student earn their degrees faster. This option is best for those who are only focuses on attending nursing school. Part-time – This option allows those who are working full-time or part-time to achieve their dreams of attending nursing school. Part-time options are designed to accommodate those with complex schedules. Part-time programs offer the option to attend school during the evening and on weekends to earn a nursing degree. Accelerated – Accelerated programs are designed for those who want to fast track their nursing education. Generally, those who currently hold some type of education degree can benefit from this program option. Students complete this type of nursing program in a fraction of the time it would take to earn the nursing degree in the traditional manner. The programs are rigorous and advanced, and the students complete the programs in 12 to 20 months. Dual – These programs allow nursing students to earn a bachelor’s and master’s, or a master’s and doctoral degree in nursing simultaneously. These intensive, accelerated programs generally take 5 years to complete. Graduates are extremely marketable upon graduating from dual nursing programs. Joint – These programs combine a nursing degree with a degree in another area of healthcare such as health administrations and public health. This type of nursing education usually combines master’s level degrees, and they are designed for those who want to work in administrative positions in the healthcare industry. Online – These programs offer nursing students the option to earn their degrees online. Some programs are offered completely online, while others offer a combination of online and traditional on campus courses. Many of these programs help nursing students earn their degrees in less time. Nursing schools may require that incoming students hold a GED or high school diploma. They also require that nursing students participate in a college track high school education program to gain acceptance to nursing school. These programs contain nursing school prerequisite course such as chemistry, biology, and physics in which students generally must earn a “C” average or higher. Schools generally require that incoming nursing students have taken the ACT or SAT before getting into nursing school. Each college or university has a specified score that students must make on the ACT or SAT to get accepted into the program. Some schools may require that students take a placement examination in math, English, and reading as an academic requirement. Additional considerations that potential nursing students must prepare for are criminal background checks. Students may be rejected for admission if they do not pass criminal background checks. Information regarding recent physical examination records must be submitted before students enter a nursing program. Drug screenings may also be a requirement to get into nursing programs. Testing positive for drugs will prevent students from entering a nursing program. Students are required to maintain a certain GPA throughout their nursing program after gaining acceptance into the program. Usually a 2.5 is the minimum GPA for these programs. Nursing programs are extremely competitive so it may be necessary to gain higher scores to get into advanced nursing programs and to compete for nursing jobs after graduation. Nursing students will also be required to complete a certain number of clinical hours to complete their nursing program. Each program has a minimum number of hours that students must complete for the nursing program. These experiences are completed under the supervision of doctors and other licensed medical professionals. For a more defined set of requirements to get into nursing school, students should check the requirements in their respective states and check with the specific nursing school in which they plan to enroll. Students should begin determining this information well in advance of applying to a nursing school. To find out more requirements, see our section on Nursing School Prerequisites. The overall health of students is also important when applying to nursing schools. It is important to be in the best shape possible when handling patients because they depend on nursing professionals to help them restore their health. Nursing students must be free of infections and communicable diseases because this can have an impact on consumers, students, and others that are part of the nursing program. Students must not have any psychological conditions or disorder that threatens their ability to perform their jobs with the highest level of skill and precision. Students must complete a physical examination before getting into nursing school. The tests that students must take include CDRL, urine analysis, complete blood count, and RPR. 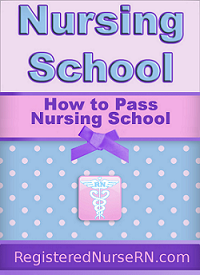 Students must repeat the physical examination every year that they are in nursing school. Additionally, students may have to take an X-ray, TB skin test, and other tests to prove that they are in good physical health. Students are also expected to have their immunization records up to date. They may be expected to have current vaccinations for rubeola, polio, rubella, mumps, varicella, and Hepatitis B. Some programs may allow students to sign a waiver to waive the Hepatitis B immunization. All documentation of medical records, immunization, and laboratory tests must be submitted before students can be admitted into the nursing program. Nursing students may also be required to have current CPR certification in order to be admitted into a nursing program. In order to complete the clinical component of the nursing program, students must have proof of liability insurance before completing the clinical aspects of the program. The application process to get into an undergraduate nursing program may include the following: a completed application, including transcripts, medical records, background check, and test scores; interview; and application essay. Other requirements may be needed so students should check with their respective nursing programs to determine the specific requirements. Students should also know the deadline dates to complete the application process to get into nursing school. Those who wish to get into a graduate level nursing program may have to complete the above requirements and some additional steps to get into a nursing program. Students may also be required to submit curriculum vitae or resume, statement of purpose or another application essay, proof of current RN license, GRE scores or other test scores, and other pertinent documentation. Recommendation letters may also be required to get into a graduate level nursing program. International students must meet the above requirements and provide a valid visa and financial certification (proof of funding) to get into nursing school. Students should check with their respective schools to determine the application process and the supporting documentation needed to earn a spot in one of many accredited nursing schools around the country. The State Board of Nursing is also an excellent source of information about the state requirements to get into nursing school. The choice to attend nursing school is one of the biggest choices that students will ever make in their lives. It is important to understand what the journey to becoming a licensed nurse will consist of so nursing students are fully prepared for the journey. Getting into a state approved, accredited nursing program will make a huge difference in the nursing experience. Even with the nursing shortage, the nursing industry is still very competitive and challenging. Students have many choices when it comes to getting into nursing school and choosing the right program options. Completing nursing school will not be an easy task, but as long as students know what to expect, the journey can be easier. See our section about nursing school classes to learn more about the classes you can expect to take.